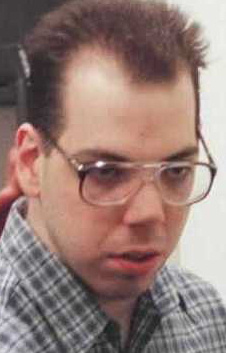 Michael Wayne Hall was executed by the state of Texas on February 15, 2011. Michael was pronounced dead at 6:23 pm CST, inside the Walls Unit execution chamber at the Huntsville State Penitentiary in Huntsville, Texas. Michael was 31 years of age. He was executed for the murder of 19-year-old Amy Robinson on February 15, 1998, in Arlington, Texas. Michael’s accomplice, Robert Neville, was also convicted in Amy’s death. Robert was executed on February 8, 2006. Michael spent the last 11 years of his life on Texas’ death row. Michael, who allegedly struggled in school, dropped out of high school after the ninth grade, and worked as a laborer prior to his arrest. He had a difficult childhood, which included domestic violence, physical and sexual abuse, and parental neglect. His mother was also an alcoholic, who drank while pregnant. Michael did not have a prior criminal record. Please pray for peace and healing for the family of Amy Robinson. Please pray for the family of Michael. As part of his final words, Michael stated that he had come to know Jesus Christ during his time in prison.